In a complaint to the Canadian Transportation Agency, Gabor Lukacs says the commercial carrier is flouting Canadian law by failing to offer passengers a basic fare that includes a carry-on and a checked bag. 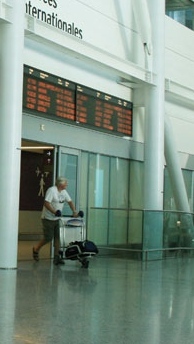 The Canada Transportation Act requires domestic airlines to offer a basic fare for travel within the country that has no restrictions with "reasonable baggage." Karen McIsaac, a spokeswoman for the Calgary-based airline, says Swoop provides travellers with "a la carte service" where they pay a low base fare and add on features such as a checked bag for a fee. She says the airline has specifically designed the self-booking website and mobile app to be extremely clear around what is provided in the fare and what the optional fees and added features entail. But Lukacs, the Halifax-based founder of the independent non-profit organization Air Passenger Rights, calls the airline's approach "deceptive." "I find it deceptive to tell people, 'We have very cheap tickets but by the way if you want to have a carry on it's $80 plus tax,"' he said. According to the airline's website, carry-on luggage is about $35 if paid in advance, $50 if paid at the time of check-in at the airport and $80 at the gate. 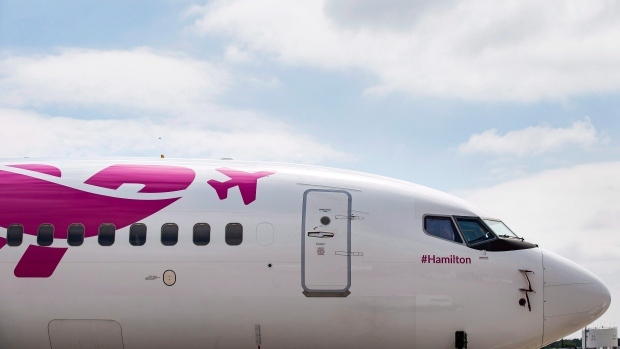 Swoop was announced by WestJet last September and offers service to Hamilton, Halifax, Edmonton, Abbotsford and Winnipeg, as well as some U.S. destinations. McIsaac says Swoop is catering to a demand for more travel options. "We are confident that Canadians are appreciative of the ability to be in control of what they pay for and what they don't, as our aircraft have been more than 90 per cent full since day one of operations," she says in an email. While Lukacs says he supports airlines offering different options to passengers, he says one of those options must be a basic fare that includes baggage. "If you look at Air Canada, for example, they have a number of different fare classes and that's perfectly fair game," he says. "There is no law that says you have to always offer baggage with every fare but rather you have to have one fare which is unrestricted and includes transportation for an adult with reasonable baggage."